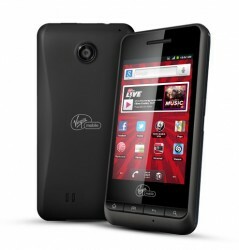 Virgin Mobile has rounded out its current Android lineup with the entry level Chaser Android smartphone manufactured by PCD. The phone features a 3.2 inch touchscreen display, 3.0 megapixel camera, Android 2.3 Gingerbread, and an 800 MHz processor which matches current entry-level Android smartphones, with the biggest draw being its price, as Virgin Mobile is selling the phone online for $79.99. Virgin Mobile is aiming the phone at people that are looking to move from feature phones to smartphones, but are usually put off by the higher prices of such devices. As the Venture is currently $20 more expensive on account of its QWERTY keyboard, going $20 below the previous low-end threshold means that Android continues its most exponential growth at the low end of the market with prepaid providers more willing to subsidize such devices.